Pat and Michelle are long time Georgia residents and sales professionals. If you are interested in a home purchase in the Greater Atlanta area or are looking to invest in land or a farm in Southeast Georgia we are ready to help. We realize that our homes are lifetime investments and they carry with them strong personal ties. Buying or selling a home is one of the most important decisions that you will ever make. The Jones Realty Group offers Buyer Representation at no cost to the Buyer on new or resale homes as well as land and farms! Our Buyers and Sellers can expect continued communiation throughout the process. 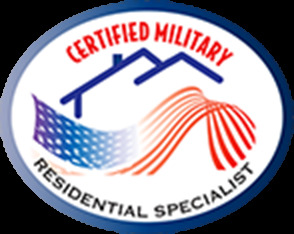 You'll know the true meaning of service when you hire us to assist in your real estate transaction. It is our goal to put you at ease and make sure you are completely satisfied with our service and your new home. KNOWLEDGE OF THE AREA: Pat is an Atlanta Georgia native with family roots in the Southeast part of the state. He and Michelle pride themselves on knowing the area well so as to best serve their clients. A WINNING ATTITUDE: Pat was a competitive gymnast in Georgia and coached all different levels and age groups for 13 years in Gwinnett County. He helped 6 of his gymnast receive scholarships to well known colleges and universities. Michelle was a competitive gymnast for 9 years in Ohio. She went to 3 national gymnastics competitions and had the opportunity to train with Bela Karoli, Olympic coach of Mary Lou Retton for two summers. EXPERIENCE COUNTS: Pat and Michelle Jones have been licensed since 1997 and are also owners/investors of multiple local Keller Williams Realty Offices, as well as ofices in the Florida Market. A TRACK RECORD OF SUCCESS: The Jones's have 8x the career sales of the typical agent and their homes sell 37% faster than the competition.